So, we have a really good question for you. Here goes: why on earth would anyone want to be a portly plumber when they could instead be the king of a race of evil turtles? The king! Yeah...we don’t really get it either. Nevertheless, the party tonight is chock full of folks dressed as Mario and even Luigi. That means you are wide open and ready to steal the spotlight (and probably Princess Peach, while you’re at it) as you crash into the big Halloween bash dressed as Bowser! All those Marios and Luigis won’t know what hit them; an evil villain like you will simply love the horrified looks on their faces when you show up. And doesn’t it feel good? Since you can’t seem to ever actually conquer the Mushroom Kingdom, we think it may be time to set your sights to more achievable goals, like winning tonight’s costume contest in the iconic style of this Nintendo licensed costume! The first step will be to make sure your Koopa style is on point; we can help you with that. 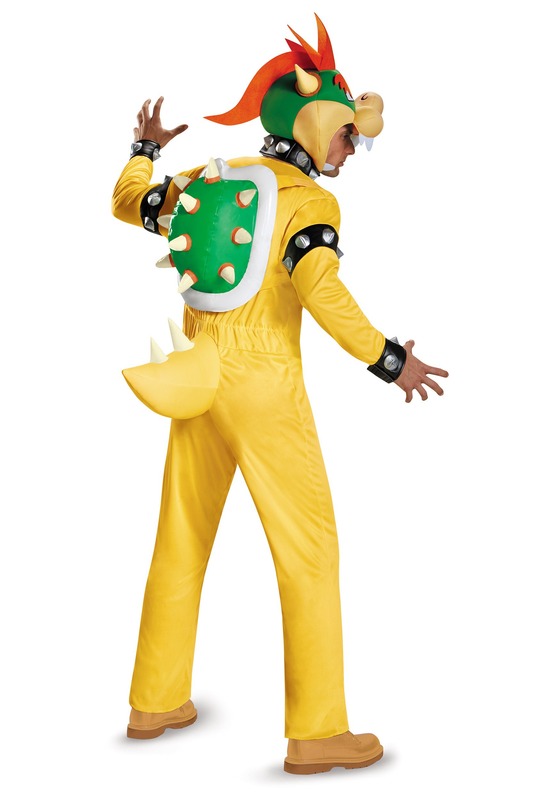 This Deluxe Adult Bowser Costume will steamroll the competition with classic spikes, flame orange hair, and a perfect yellow jumpsuit. 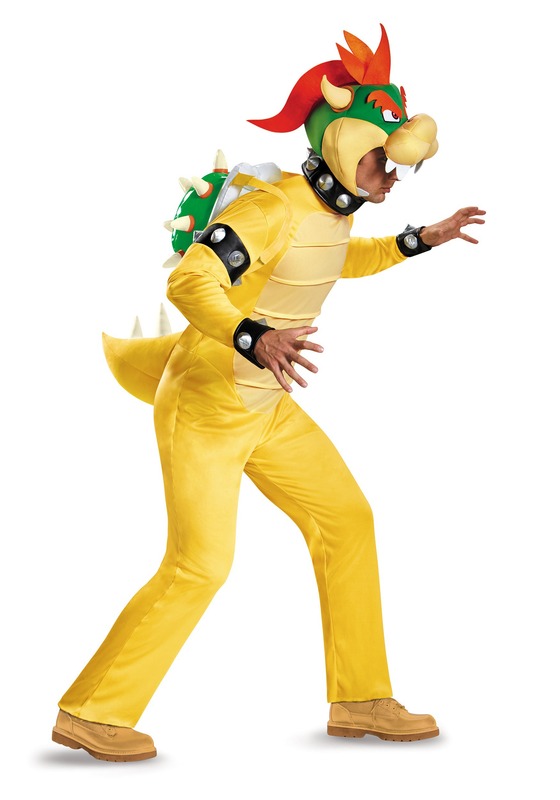 Inflate the shell for your Koopa and get ready to use that fire breath just to show that plumber who is the hottest thing at this costume party!